As daylight hours shorten, the region’s Street Smart initiative takes to the streets to reduce collisions involving bicyclists and pedestrians. 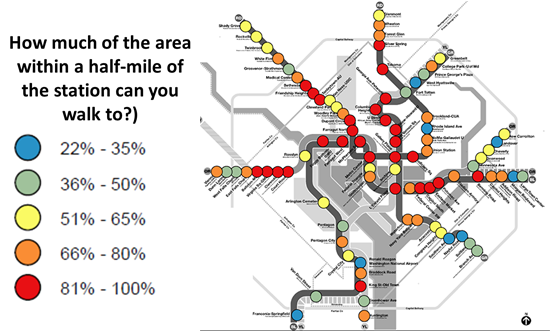 Daylight saving time ended on November 1 and evening commuters now have one less hour of daylight. In 2013, 72 percent of pedestrian fatalities in the U.S. occurred in the dark. 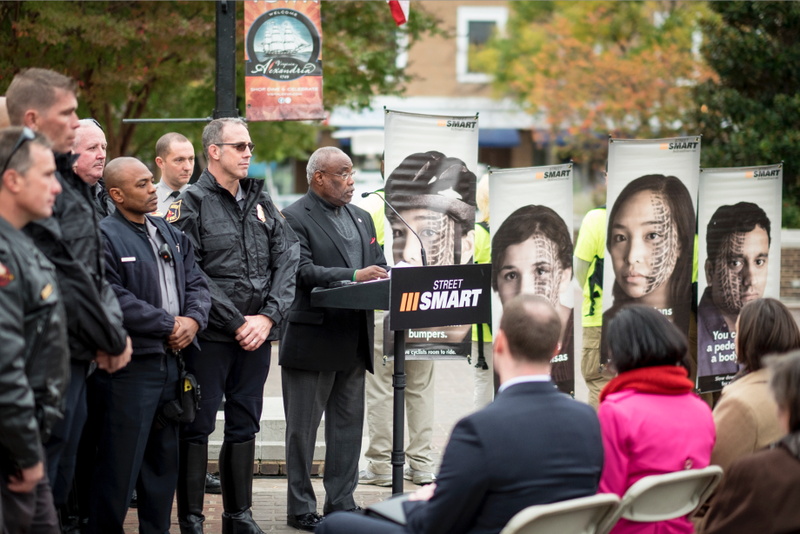 To mark this transition and remind the region’s residents to be extra vigilant when travelling during these darker hours, the region recently kicked off the Fall 2015 Street Smart Pedestrian and Bicycle Safety campaign at Alexandria City Hall. 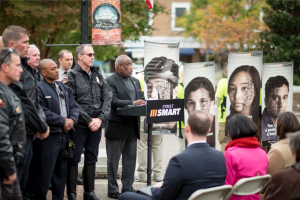 Metro Board member and Alexandria Mayor Euille opened the campaign with some personal remarks about ensuring his own safety. He and other local officials were on hand to remind motorists, pedestrians and bicyclists to be extra vigilant as they travel throughout the region. 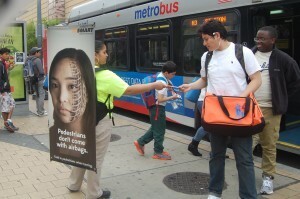 ‘Walking billboards’ also will be out and about near heavy pedestrian areas handing out safety information and highlighting safety messages for those who pass by. If you are a driver, slow down and watch for pedestrians and cyclists. Stop for pedestrians in crosswalks and leave at least 3 feet when passing a cyclist. If you are a pedestrian, use crosswalks and be sure to look left, right and left again before stepping off a curb. Cyclists, obey traffic laws and ride with traffic. And for all, pay attention to your surroundings as you travel, do not let your devices distract you. To make it easy to keep these tips in mind, we also like Arlington’s transportation team’s handy acronym that offers an easy reminder to keep us safe on the streets: be a PAL – that is, be Predictable, Alert, and Lawful. It works for everyone. We all have a role to play in keeping each other safe – let’s be sure we do our part. Stay safe out there. One solution to the region’s crippling congestion could be right under our feet – literally. 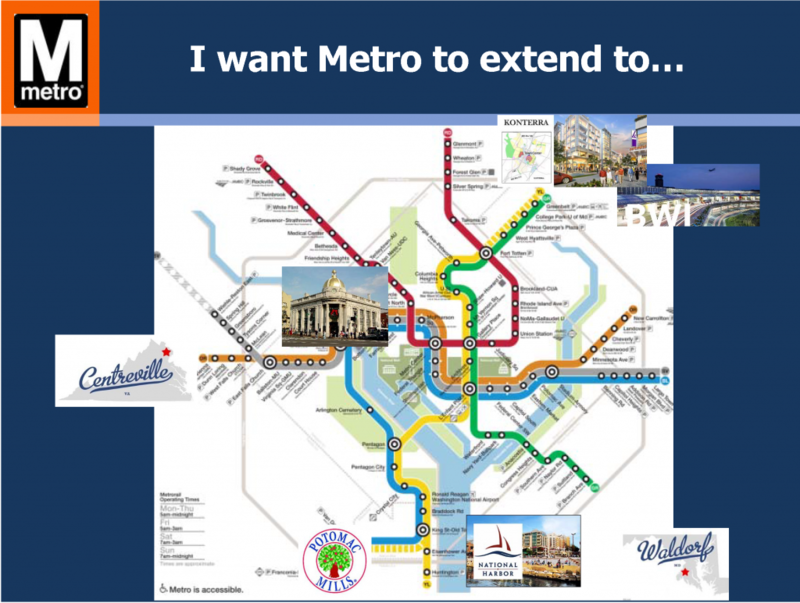 The region is abuzz with $220B of planned new transportation investments – the Purple Line, HOT Lanes, new streetcar lines, and additional roadways. 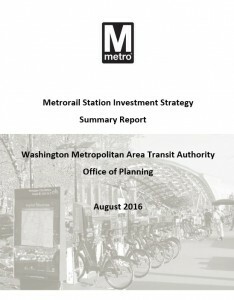 Though there is not one dollar currently pledged to add capacity to Metro, these other investments may help the region chart a course away from leading the country in congestion (pdf). However, for a quarter trillion dollars, one would expect that collectively these projects would have significant impacts on the region’s congestion. While there are some benefits – vehicle miles traveled (VMT) per capita are expected to decline and transit mode share may increase by one percent – overall increases in VMT are expected to outpace road construction, leading to a 38% increase in the number of lane miles of congestion (pdf). 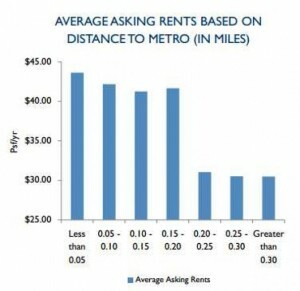 But is there another way to get more bang for our buck? 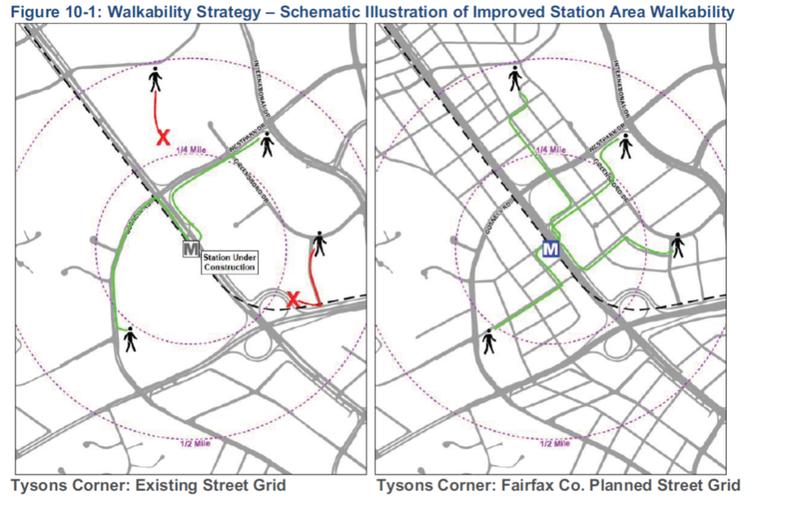 Make station areas walkable. Every one of them. Now.